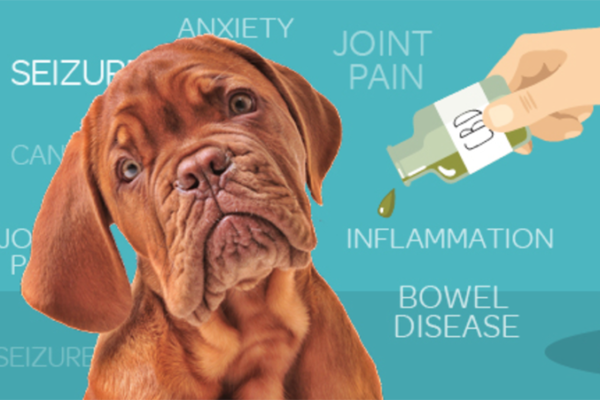 Dog owners are finding this little natural miracle oil (cannabidiol) is helping their pets with a number of different health issues. It’s not only effective, but also safe and first and foremost natural. Is CBD safe and what are the side effects? Make sure you buy the CBD made from industrial Hemp not Marijuana. This is because you don’t want to make your pup high. Both plants are from the Cannabis family, but hemp CBD is very low in THC (tetrahydrocannabinol), so it is non-psychoactive. Legally in the US, hemp CBD must contain a maximum of 0.3% THC, whereas the THC in marijuana is usually over 5% and some strains contain up to 35%. Be also careful to buy from a company in a state where recreational use of marijuana is legal. It’s too easy to get a product that has THC in it when it comes from one of these states. Ask to see a Certificate of Analysis for their product showing that the THC is below 0.3%. Certificate example seen below. Make sure you do this! Also read more about the Certificate of Analysis under Lab Testing below. Look up where the supplier’s CBD product you want to buy is grown. Look for an organic product. Climate, soil and water is very important because cannabis is a hyperaccumulator, meaning it absorbs contaminants from the ground it grows in. Heavy metal toxicity is a special concern in a medicinal product like CBD oil so your supplier should be able to provide test results showing that it’s free of these contaminants. The most reliable source of hemp is industrial hemp that’s certified in Germany. The regulatory standards there are very stringent, and they are strictly enforced; the European Union’s organic standards are also stricter than the US’s and thoroughly audited. Look for information on the supplier’s website about their sourcing. If it isn’t provided or their standards aren’t clear … or if you have questions they won’t answer, don’t buy from them. The best extraction method is supercritical (or subcritical) CO2 extraction. This system uses carbon dioxide under high pressure and low temperatures to assure the purity of the extracted medicinal oil. Subcritical extraction is done at a lower temperature (under 88F) than supercritical, while supercritical extraction is done over 88F and 1083 psi. Yields are a little lower with the subcritical vs the supercritical method but both processes ensure a quality CBD product. It’s the most expensive extraction method, producing a non-toxic, pure, natural, non-flammable product. The extract has a cleaner taste and mycotoxins can’t survive the extraction process. Some CBD products are extracted in pharmaceutical grade ethanol (a grain alcohol). This process is Generally Regarded As Safe (GRAS) by the FDA (US Food and Drug Administration), but can destroy the plant’s waxes, leading to a less potent oil. For maximal absorption look for a CBD product that if infused with coconut oil. 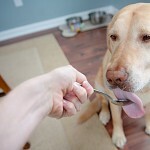 When CBD is infused with coconut oil, it’s much better absorbed by your dog. Coconut oil is best. Some companies use olive oil, which is also acceptable, but the product is less bioavailable when made with olive oil rather than coconut oil. What else is in your CBD oil? There are several things to look for when you’re assessing the purity of the product you’re considering. As always, ask to see your supplier’s Certificate of Analysis so you know their label claims have been verified. Buy an organic product. Hemp can pick up contaminants from the soil it’s grown in. You’ll see some products described as “gold grade.” This refers to quality and clarity. Lower grade oils are darker and contain more chlorophyll and plant matter, compared to a higher quality extraction that comes out gold. Buy gold if you can! Make sure there are no chemical additives or preservatives in the product you buy. Beware of products that add ingredients like essential oils (EOs) to their CBD oil. Even though “natural,” EOs can affect animals powerfully so avoid them unless you want 1 2 3 4 5 a certain EO in your CBD for a specific purpose … for example, some CBD products might include frankincense EO for tumor reduction in a cancer patient. If there are EOs in the product you’re buying, make sure you know what their medicinal purpose is, and also question the supplier about the quality and purity of the EO. There have also been companies selling “pseudo hemp.” The FDA (Food and Drug Administration) has tested some products and fined companies whose products didn’t contain the CBD levels they claimed. You can see the FDA testing results on this page, where you can also view the warning letters the FDA has sent to suppliers. 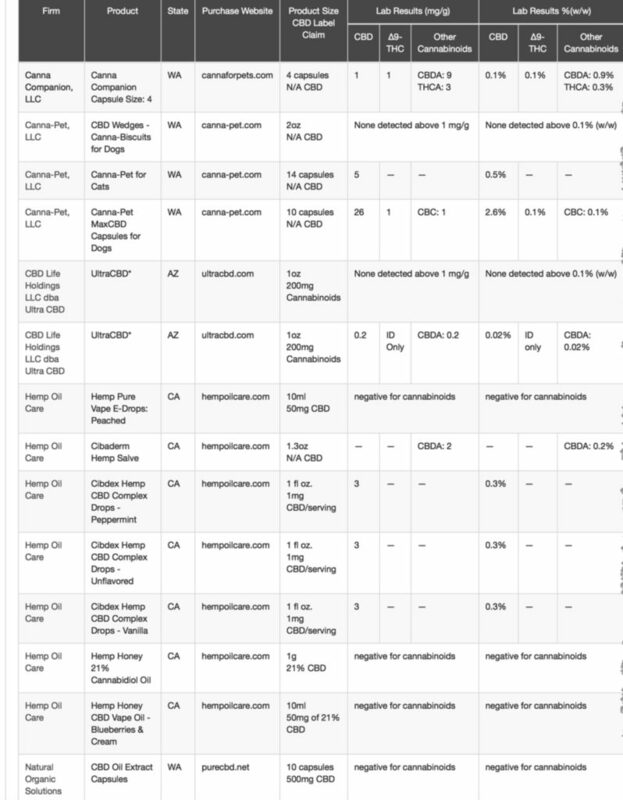 Most of the warning letters are because of the medicinal claims the suppliers make on their websites, but on the FDA’s 2016 list of warning letters below, you can also see where the test results differ from the manufacturer’s claims about CBD content. Should you look for a product with terpenes? Terpenes (like limonene, alpha pinene, beta pinene) are some of the natural medicinal constituents in hemp, and all products will contain terpenes. You may read about the “entourage effect” of terpenes along with cannabinoids in your CBD oil, which is said to increase the medicinal actions of the product. If your oil was produced using the CO2 method, the terpenes get pulverized, making them difficult to detect in testing, and they won’t show up on the Certificate of Analysis … but they are still present and contribute to the CBD oil’s medicinal effects. CBD produced using solvent-based methods (which we don’t recommend, as described above) will preserve the terpenes so that they show on the Certificate Of Analysis. 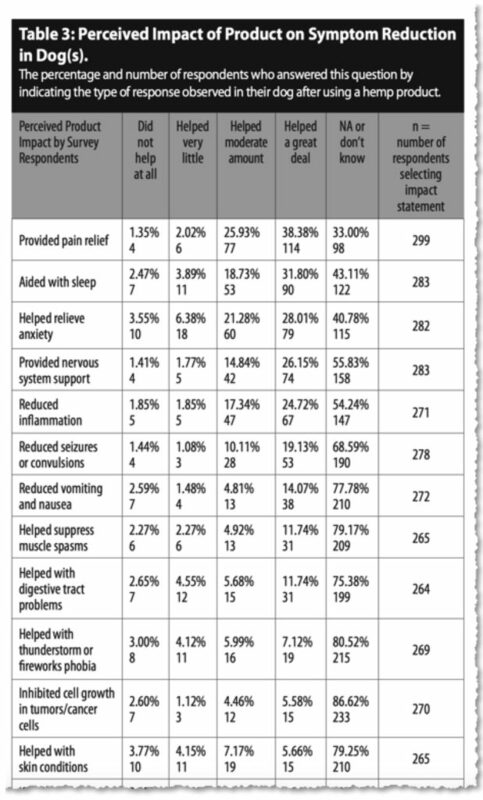 When it comes to the potency of your oil, the numbers get quite complicated, and the labeling varies. Many companies will show not just the amount of CBD per serving, but also the amount of CBD per oz or ml (or in the dropper – most droppers dispense 1 ml), and the total amount of CBD in the bottle. It can be quite hard to compare products because they may state the CBD amount differently. For example, one company has a 200 mg CBD Oil. This is shown on the label as Herb Weight by Volume 200 mg. This means the bottle contains 200 mg of CBD. The label also shows that the 1 ml dropper contains 6.6 mg. This company also states that the product has a Herb Strength Ratio of 1:60. That’s because the CBD is infused with coconut oil, and 1:60 is the ratio of CBD to coconut oil. Another well-known company sells a concentrated liquid with no information on the label … but you can find details on their website. The liquid doesn’t contain any alcohol or carrier oil and is described as 100% organic, CBD-rich whole-plant hemp oil … but they don’t tell you how many milligrams (mg) of CBD oil are in a dose or in a bottle. So you can see it’s very hard to compare these two products without calling the second company to find out the actual amount of CBD in mg contained in the bottle. 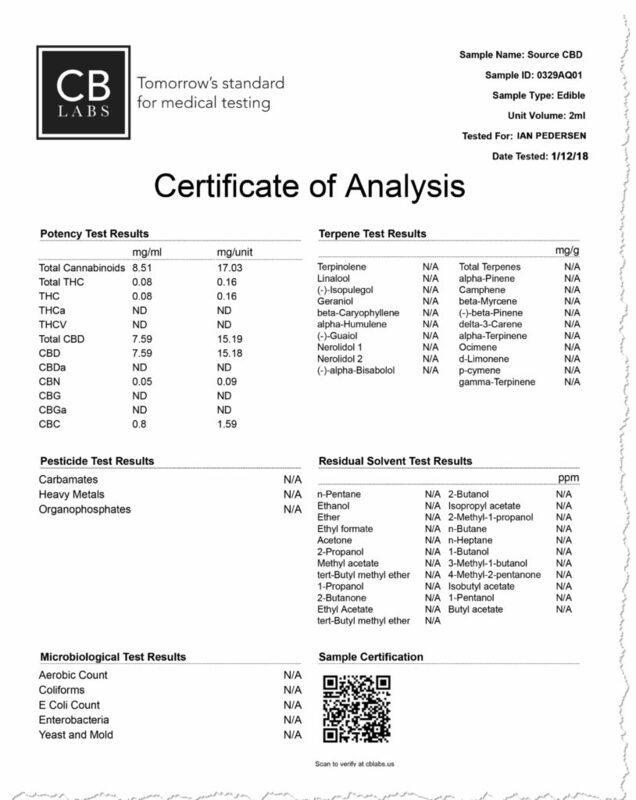 You can also ask to see the Certificate of Analysis which has Potency Test Results showing the total CBD in mg per ml, as well as mg per unit (bottle). NOTE: This guideline refers to the actual amount of CBD, so you need to know how much CBD is in the dropper or bottle of product, as described in CBD Potency above. In order to compare the price of different products, you’ll first need to know how much actual CBD is in each bottle. Once you know that, you can divide the amount of CBD in the bottle by the price and then you’ll have a price per mg of CBD to compare. Don’t skimp on price if you want a high quality, safe product. Extracting CBD from industrial hemp requires a lot of plant material as well as careful monitoring of the growing environment, and it’s not cheap! If the product you’re considering is priced significantly lower than the competition, there’s probably a reason for that … perhaps inferior hemp quality, a cheaper extraction method (like solvents that can be toxic), lower cost ingredients added to the product, or less CBD per serving or per bottle. You don’t have to buy the most expensive product to assure a good CBD oil, but make sure you’re buying a brand that’s more or less in the range of similar quality product. 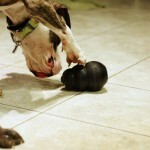 “CBD oil can be a highly effective and safe medicine for your dog if you get a good product. Do they fully disclose all the details of how and where their product is grown and manufactured? Are there any misleading statements on their website or packaging? Did they answer your questions satisfactorily? Did they provide a Certificate of Analysis from an independent third party lab? Does the company work on education and awareness? 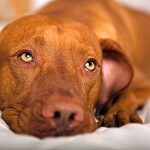 Do they have case studies or testimonials with examples of how their product has helped other pets?